For the most part, companies generally make you pick and choose what trade shows to attend. Few companies have a budget in place that will allow you to attend every relevant trade show in the country, after all. However, because you won’t be attending all of your industry’s trade shows, you need to make sure that the trade shows that you do attend are successful. You’ll need to create an exhibit that is identifiable and noticeable, not to mention well-marketed. Your goal should be to get the highest return on your investment possible, and if your exhibit fails, there’s a chance that your company won’t have the budget flexibility to try again at another trade show. For many exhibitors, it’s all or nothing. This is why you should request professional assistance with your exhibit booth management – and professional exhibit booth management is exactly what we provide here at Jacoby Expo. 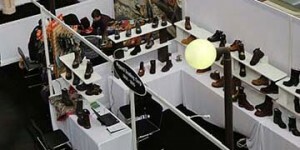 Custom Booth Design – You are going to be sharing floor space with dozens if not hundreds of other exhibitors. You’ll want your booth design to stand out from the pack in a way that will draw the interest of trade show attendants while also appropriately representing your brand. We will help you to create a custom booth design that takes into account your specific trade show goals, your target audience, the surrounding environment and your marketing strategy. Rental Solutions – Because our custom booth designs are not created in a “one-size-fits-all” fashion, we can help provide rental solutions that ensure your custom booth design will not exceed your budget. This means that whether you have a small budget, a mid-sized budget or a large budget, we will provide you with a trade show rental that you can afford and that will still be effective for what you are trying to achieve. Warehousing and Logistics– We can help provide warehousing and logistics services in order to ensure that your exhibit materials are shipped in plenty of time to be set up at your trade booth. This way, you won’t have to worry about where your materials are on the day of the trade show, nor will you have to worry about how you are going to ship them back. We will also help seek out the most competitive prices for the shipment of these materials. Booth Installation and Dismantling – Installing the booth can be challenging, especially with a custom booth design. We will take care of the booth installation prior to the show as well as dismantling it once the show has ended. Storage Solutions– After delivering materials to your booth and helping set them up, we will store the empty containers for the remainder of the show as well as periodically picking up empty containers throughout before returning them to repack your materials after the show has ended. The exhibit booth management services that we offer at Jacoby Expo will go a long way towards making your trade show experience a successful one.